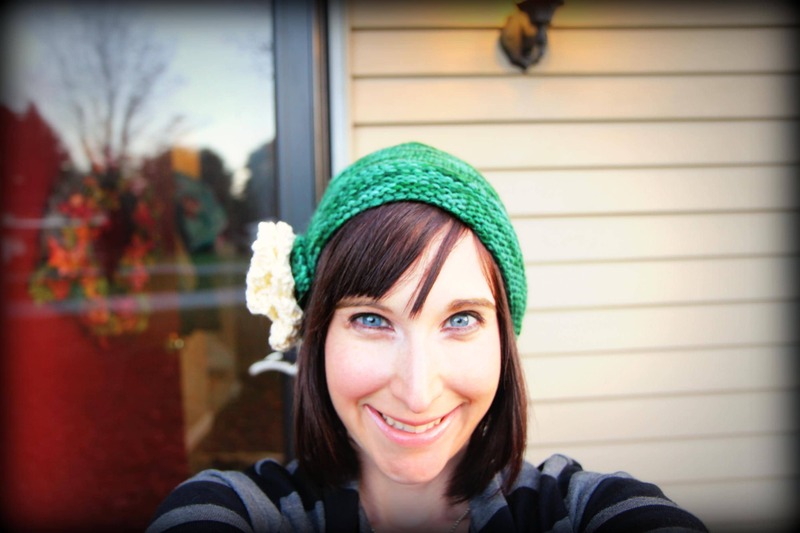 Over the years I have learned a lot about knitting great chemo caps and how to construct a cap that will truly be used and loved. 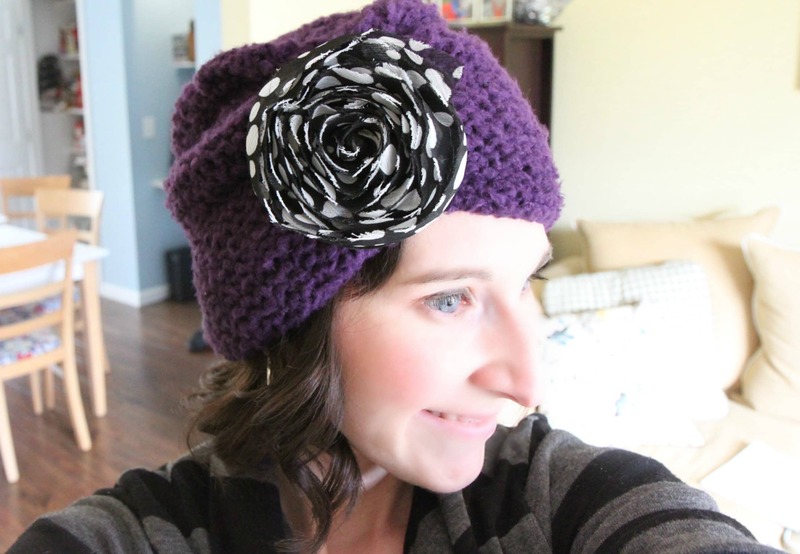 While you don’t need to necessarily select a hat that specifically is called a, “chemo cap,” in the pattern, you do want to be thoughtful about picking a pattern that the recipient will feel confident and beautiful in. 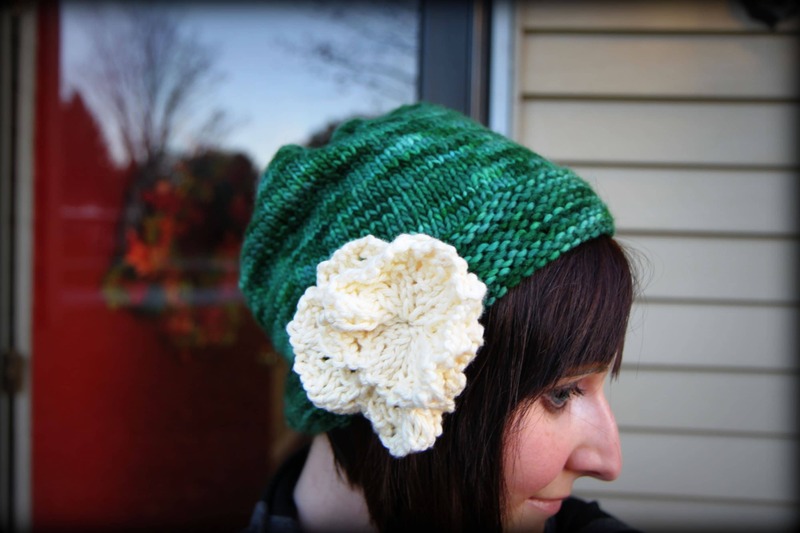 Lacey hats, for example, may look beautiful, but imagine having tiny holes all over your hat when you have no hair? No fun! Look for patterns that offer lace trim or details on the edge of the hat. 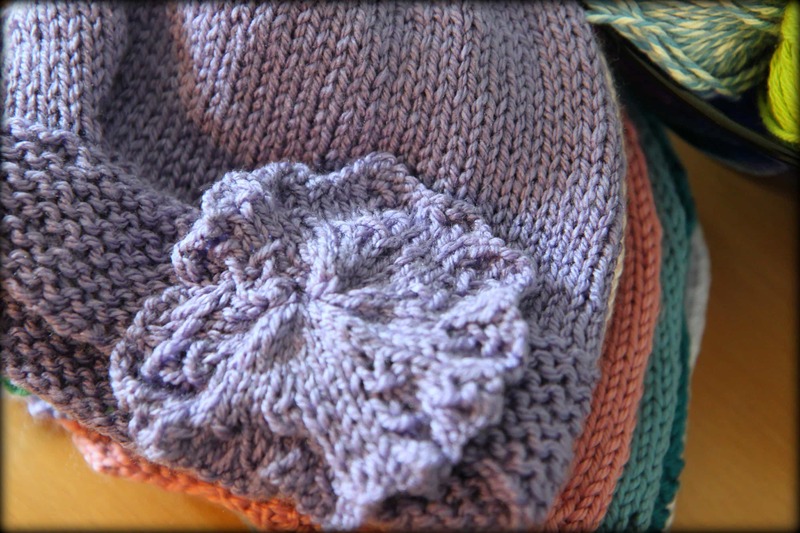 Patterns that are closely knit and have details created from purl and knit stitches rather than large yarn overs will help your recipient keep his/her head warmly covered. Seams can also be irritating to the scalp. If you are not able to do circular knitting, seaming will be involved, and that is especially why you will want to select a super soft yarn to help with that. When I am selecting yarn for a chemo cap, I gravitate towards the same skeins of yarn that I would select for a newborn baby. You don’t want yarn that is itchy, scratchy, or that will further irritate the recipient’s sensitive head. It doesn’t mean that the yarn can’t be inexpensive, it just means that you need to be thoughtful about the yarns that you choose. Caron Simply Soft, Naturally Caron Spa, & Hobby Lobby’s Bamboospun yarn are all great budget-friendly options that will also feel soft and wonderful against a bald head. Cotton can feel soft, but is a very stretchy yarn and if the hat is worn often, it is better to find a cotton blend that will retain it’s shape than a basic cotton yarn. If you are not confident about a yarn choice, rub it against your own skin and see what reaction your skin has to it. If it feels itchy to you, it won’t be a good option for your chemo cap. To me, it is all in the details of the hat that really add that sparkle and will help your recipient feel truly confident. 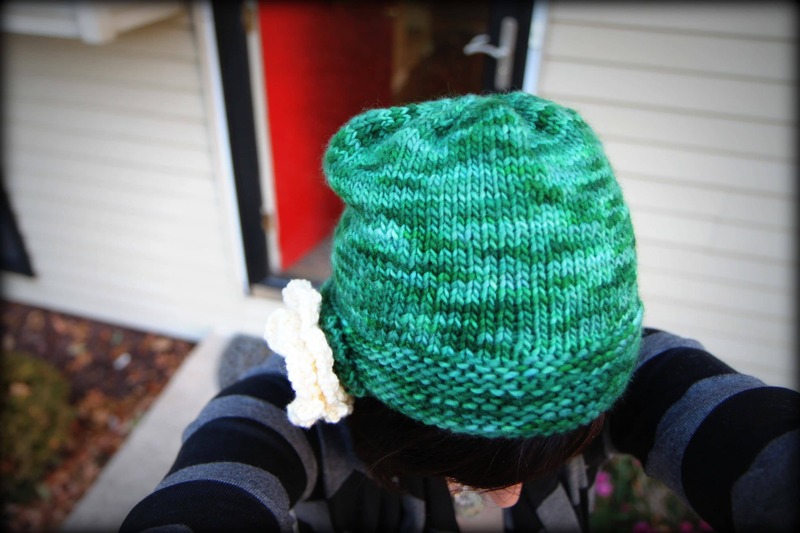 If you are knitting the hat specifically for someone, ask about their personal style. Do they love elegant buttons? Do they have a favorite color? Do they like a fitted hat or a more slouchy hat? Do they want a fabric flower on their hat? 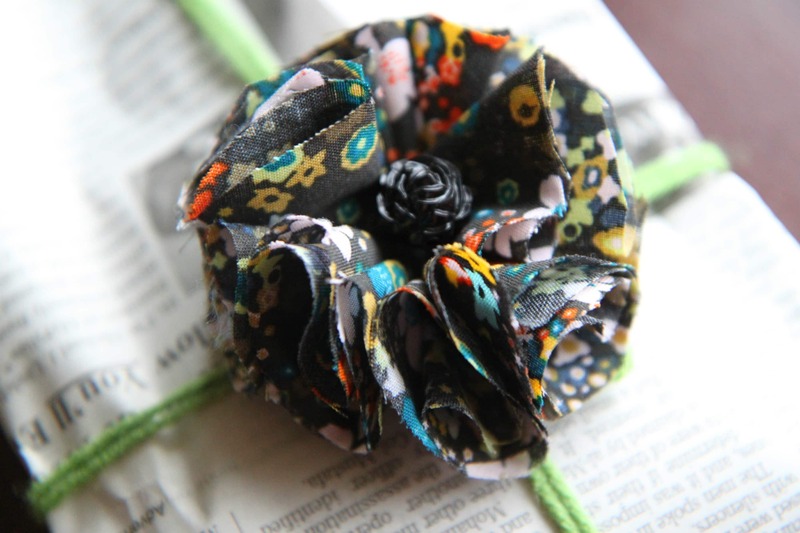 I recently started adding my Fabric Flowers to my chemo caps because they are so cute and inexpensive to create. I also love to visit Hobby Lobby for sweet embelishments that can add a little sparkle to your hat. Half the joy for me is in wrapping the gifts with love for their recipient. Imagine that you are struggling through your treatment and someone unexpectedly gives you a beautiful gift filled with something that will help you feel beautiful and confident. 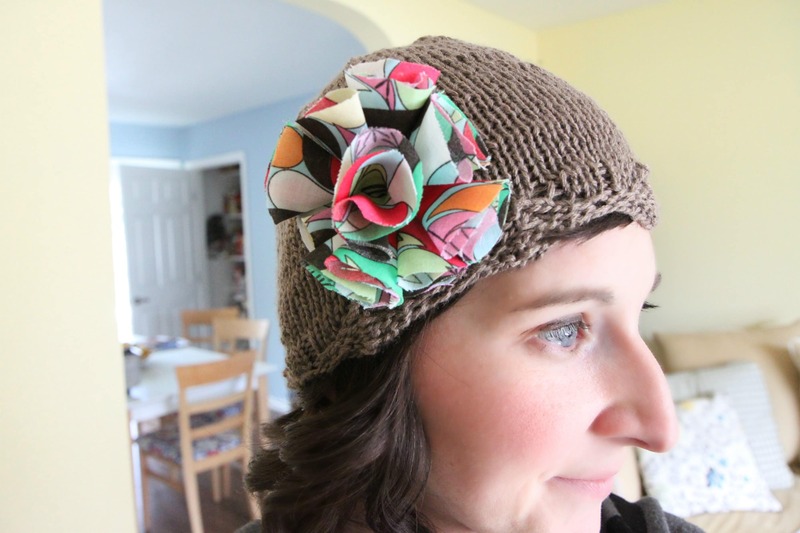 I love to wrap my hats in pretty tissue filled boxes or in simple newspaper tied with yarn with fabric flower toppers that they can use to accessorize their hats. I finish all my chemo caps with homemade gift tags. 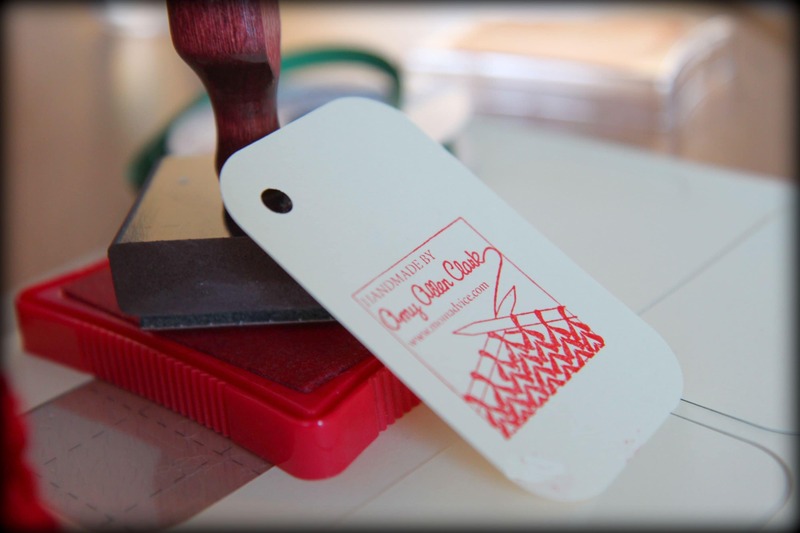 As a treat to myself, I bought myself a personalized stamp from Babyjewels (an Etsy seller) and I have to say, it really adds that professional touch to my gifts! They have one for knitters and one for crocheters too. 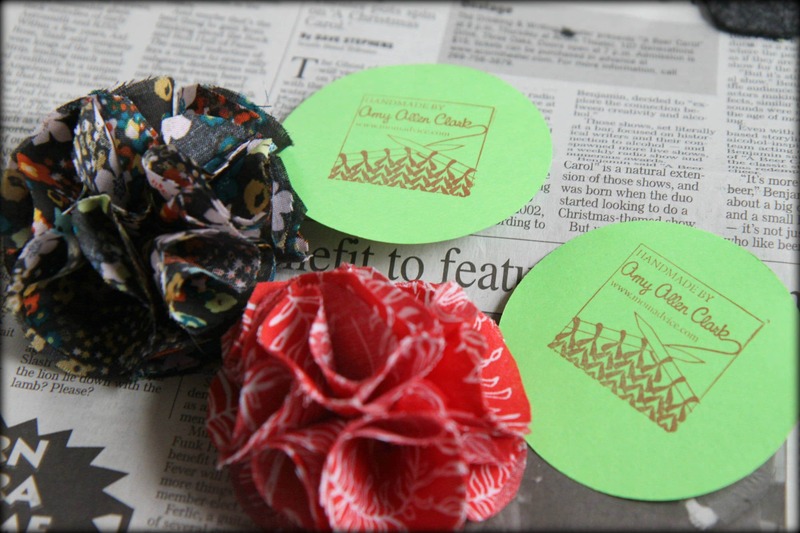 Sometimes I cut the gift tags with my Silhouette craft cutter and other times I keep it simple by just using my circle punch that I have in my craft supplies. These are tied with yarn to each hat. If you don’t know anyone personally going through cancer, they are many people out there who could benefit from your donation. Check your local hospital’s oncology department to find out if they could use your donations. Usually baskets of these hats are made available to patients when they are undergoing treatment. If you can’t find a place for you hats locally, you can mail them in to Head Huggers where your hat will find a good home through their organization. Sadly, I have had to knit wee chemo caps for tiny patients that shouldn’t even know what the word cancer means. It breaks my heart to make these tiny caps and it serves as a constant reminder to me just how fragile our lives really are. Keep your smaller chemo patients in mind as well as men who are undergoing chemo and might need a nice fitted cap to keep their heads warm in the winter time. When making chemo caps, try making a variety of sizes and for both males and females so that donations are on hand for a variety of patients. Notes: For knitters that want to make charitable hat contributions but don’t know how to knit in the round, this pattern is for you. It is an easy garter stitch pattern, knitted on straight needles, and then cinched to create a cute gathering on the side where you can add a fun pin or brooch. 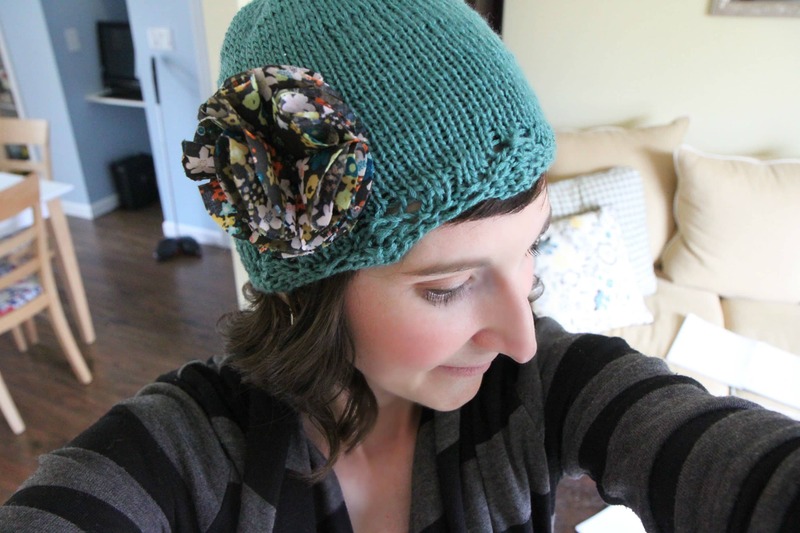 No crazy stitches, no knitting on circulars, and an easy & fast to knit. 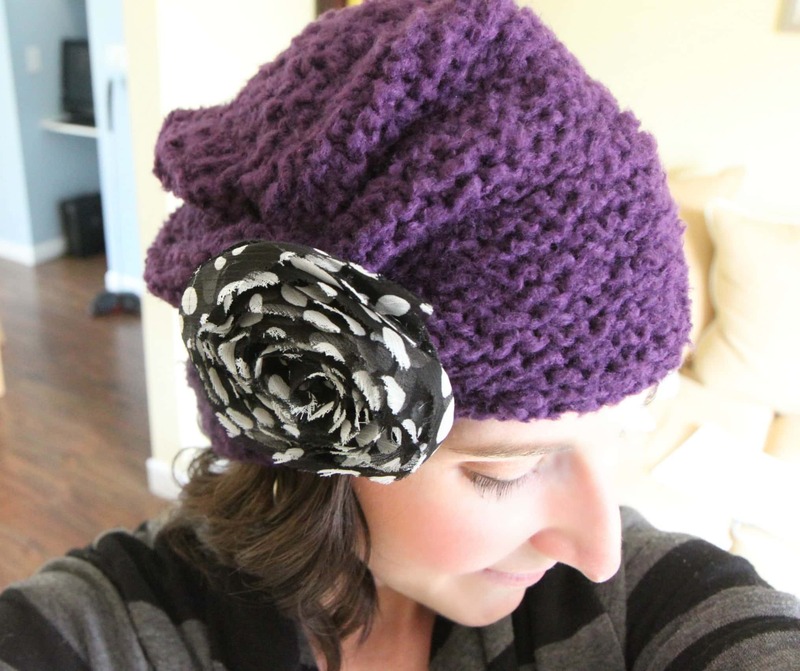 Notes: This lace trimmed hat is the perfect chemo cap because the lace just hits on the edge of the hat. Great one to do while catching up on your latest shows since you only need to concentrate in the first eight rows of pattern. 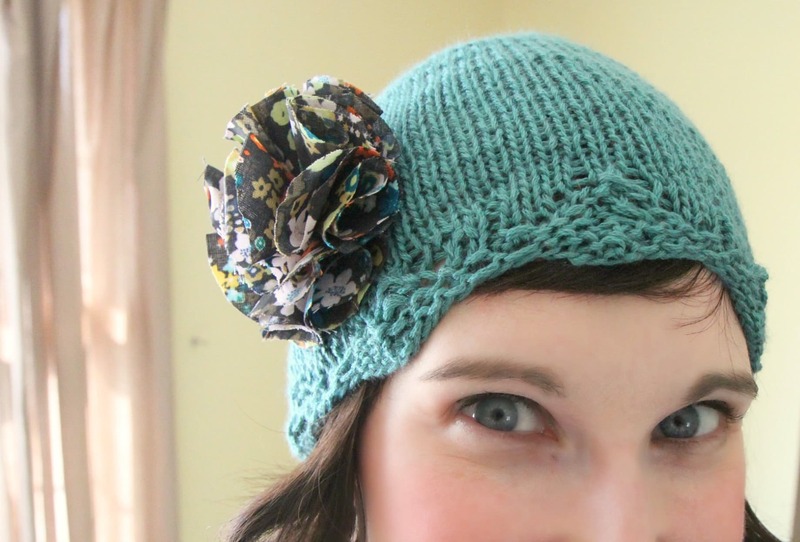 I added a fabric flower to this hat to add a little splash of color. You can find that easy tutorial over here. 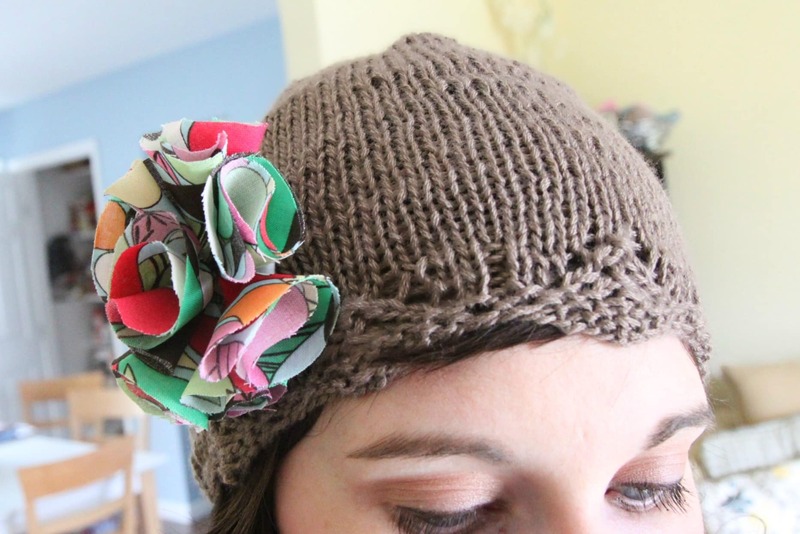 These fabric flowers are a fun way to adorn a chemo cap and make the hat a little more fun. Pattern: Toddler Republic Hat or Adult Republic Hat (you can find the pattern in the side bar available for free download) with Lydia Flowers (Size Medium & Small)- The Lydia Flower is currently unavailable, but should be available for purchase soon! 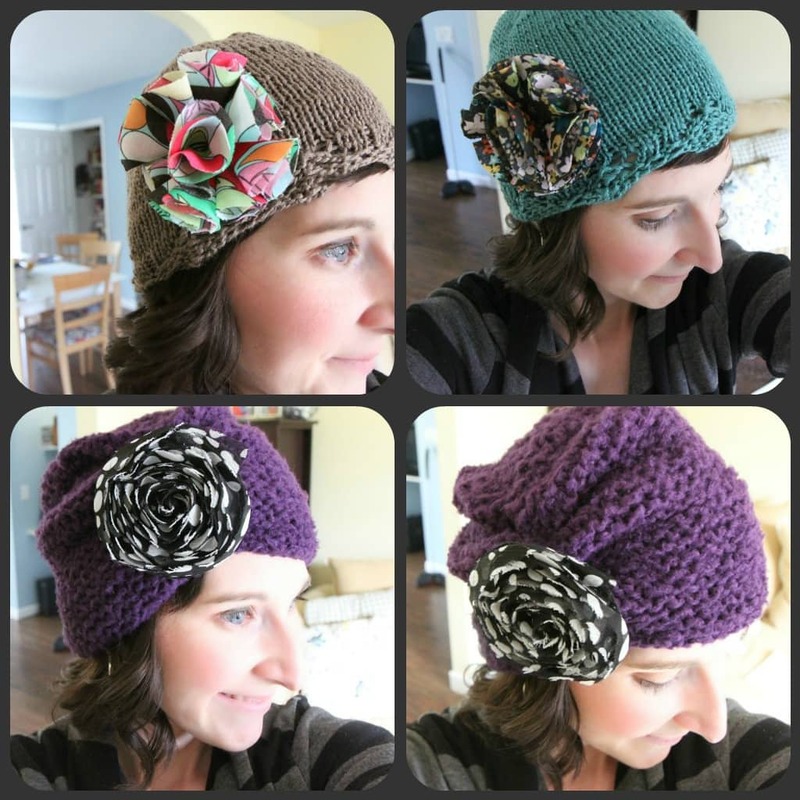 Notes: If you are looking for a perfect hat pattern for a novice beginner who is learning how to knit in the round, then these patterns are the perfect patterns for you. In the pictures above, I actually used the Toddler Republic Hat pattern for myself since I have a smaller head than most normal adults. I adjusted the length to 5 1/2 inches long. Linked above is also the adult-sized version that would be a perfect holiday gift for just about any girlfriend or sister to wrap underneath your tree this year! 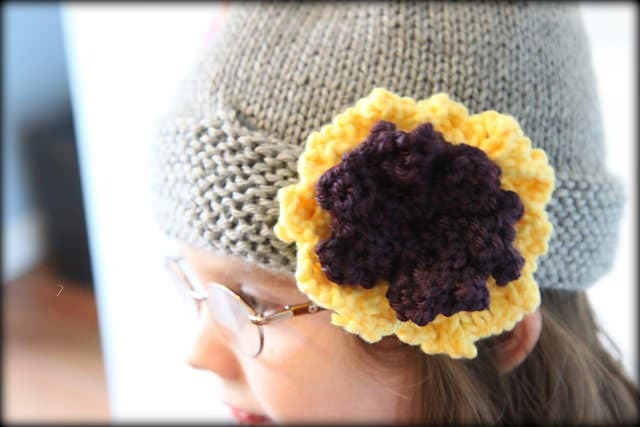 The embellishment is the Lydia Flower in both the medium & small sizes, stacked using size eight straight needles. 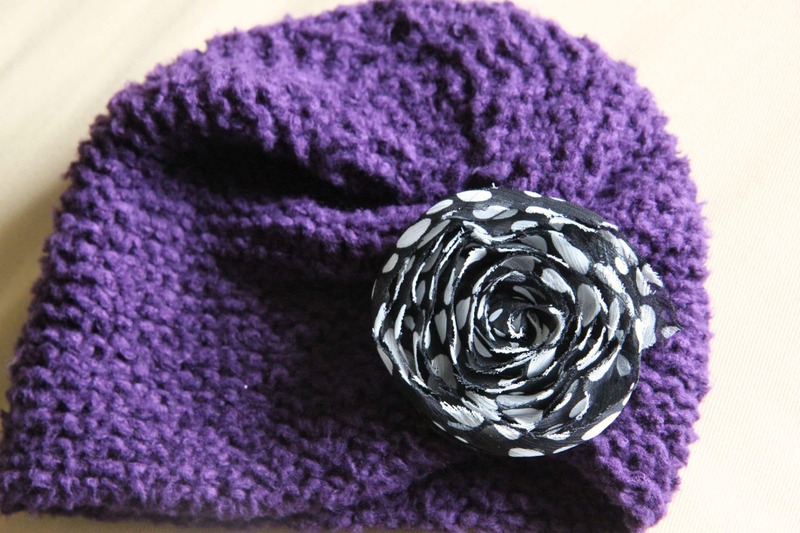 If you don’t feel ambitious enough to knit a flower, you can finish it with a simple button and skip that step altogether! These hats pictured here were knitted for my friend’s sister, Megan. Isn’t she just so beautiful? I understand that she is both beautiful inside and out. Although I have never met Megan, when I heard about her I knew that I needed to put my knitting needles to work for this amazing girl. 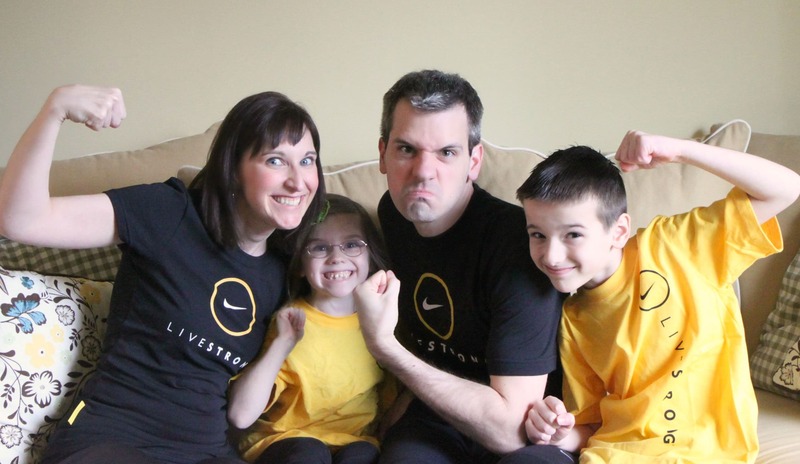 Megan has a rare cancer called Leiomyosarcoma that aggressively forms tumors in the tissues and organs of her body. 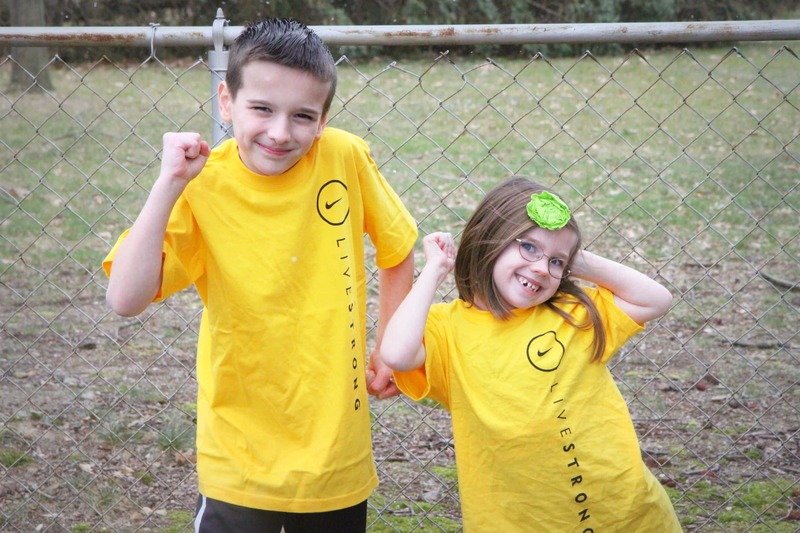 She has already completed 6 rounds of chemotherapy, and is determined to beat this. Megan has been on our prayer list and I hope she can be on yours too. We pray for you every day, Megan! 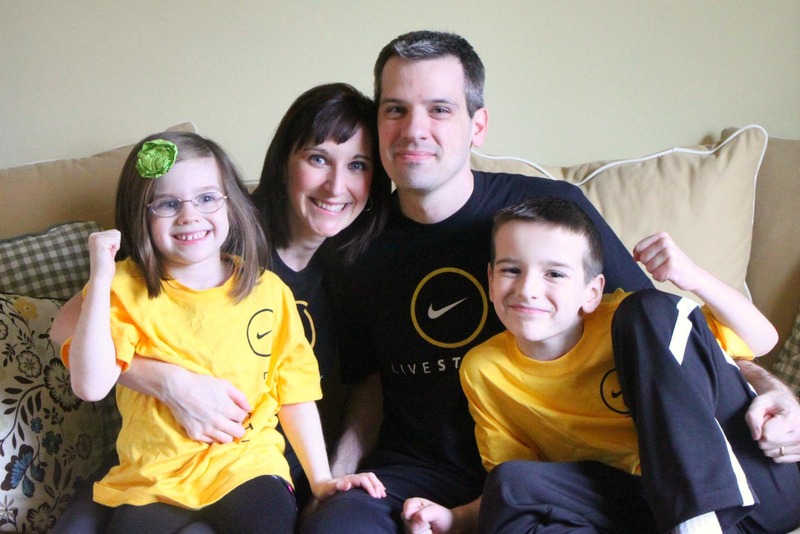 Sadly, cancer has now impacted our family personally. Our family is LIVING STRONG right now for a very special man in our own life. Ryan’s grandfather has been diagnosed with cancer and we ask that you add him to your prayer list and all of our family. We couldn’t love our Pops more if we tried. We sent our sweet grandpa these pictures of our family to cheer him up and so he knew we were Living Strong for him every day. There is little that we feel like we can do except pray, but we do it fervently every single day. We are thankful for high tech blessings like Caring Bridge (a free website host that families can use to create a page for their loved one) and Skype where we can see our Grandpa & Grandma since he lives so darn far away. If you are looking for more pattern ideas, I would love to be your friend on Ravelry.com. My profile is over here. It is a fun and free place to hunt for patterns and document your projects. I update my page often with chemo caps & knitted prayer shawls. Let’s be friends! 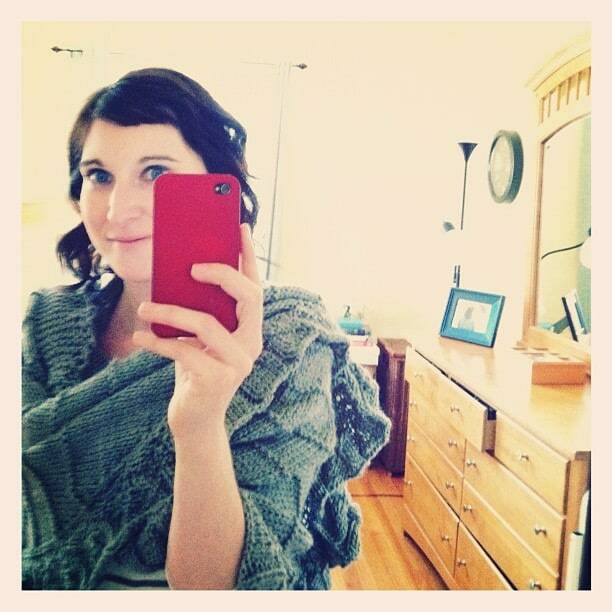 You can also find other fun knitting projects in our Knitting section of the site. 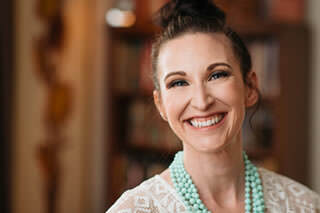 “Sometimes, people come up to me when I am knitting and they say things like, “Oh, I wish I could knit, but I’m just not the kind of person who can sit and waste time like that.” How can knitting be wasting time? First, I never just knit; I knit and think, knit and listen, knit and watch. Second, you aren’t wasting time if you get a useful or beautiful object at the end of it. Make your television time (how ever you watch that TV) useful and make something beautiful that will brighten someone’s day more than you can know. Feeling charitable today? Here are 10 Painless Ways to Give Back to Charities.